Dr. Monte Hessler is a chiropractor serving the Phoenix, AZ area. In Dr. Hessler's experience as the team chiropractor for the Phoenix Suns, the Phoenix Mercury, the San Francisco Giants, and the PGA Tour, he gained extensive experience in treating top professional athletes who sustained injuries of all types. He continues to serve as both a team chiropractor for professional sports teams and a private practice chiropractor for his Phoenix patients. Dr. Monte Hessler was named one of the best chiropractors in Phoenix by Expertise. Dr. Hessler ranked in the top 20 out of 263 local chiropractors. Click on the award to find out more. Dr. Hessler currently serves on the Advisory Board for Fusionetics, a platform that allows you to develop and track your own corrective exercise plan. 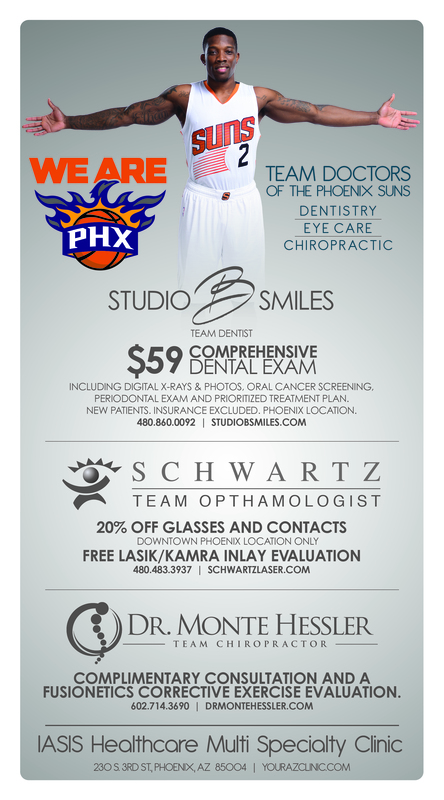 Dr. Hessler trusts Fusionetics technology when treating top athletes from the Phoenix Suns. Please click the link below to see our Grand Opening Special and receive a Fusionetics Corrective Exercise Evaluation. Professional athletes trust their chiropractic needs to Dr. Hessler. The Phoenix Suns, the Phoenix Mercury, the San Francisco Giants, and the PGA Tour have all trusted Dr. Hessler with their highly-paid athletes. "Monte plays an important role in helping to keep our players' bodies aligned and moving properly. Several of our players use Monte as part of their pre-game routine. Monte has been an important piece of our sports medicine needs and works incredibly hard with our staff to keep our players healthy." I had a great experience with Dr Hessler and also his assistant. After being in pain for months, Dr Hessler got me all fixed up in just a few pleasant visits! We accept workers compensation, personal injury, auto accident and some commercial health plans. Since most plans offer many different coverage options and with the many different plans available please call us to find out what your plan covers. The staff will verify and explain your benefits before treatment at no charge. Please fill out a copy of the New Patient Forms prior to your arrival to expedite your check-in process.